This identifying the problem issue can be illustrated by an example from marketing. Harvard Business School professor Theodore Levitt, amongst many things, is famous for the quote, “People don’t want to buy a 1/4 inch drill, they want a 1/4 inch hole.” This is rather insightful. You can easily picture the customer at Home Depot telling the salesperson about the drill that they need. You know the scene: it is their third trip to the store that day as they rush to finish the project they started three months ago, but can’t put off any longer since all of the stuff they have laying out for working on the project is in the way of the new project they were going to start this weekend. First they had to come in to get all of the supplies needed to complete the project, like screws, boards, etc. The next trip was because they discovered the set of drill bits they had seemed to be missing about every other size. When they got these home, it turns out that they didn’t work with the drill they already had. Since that drill was a housewarming present from twenty years ago when they bought their first house, it seems like it is probably time for a new one. Now we are all caught up on the story and here the customer is, describing to the salesperson their circumstances and vowing that this is their last trip whether they have everything they need or not. Since Professor Levitt first made this observation, others have made the case that the analogy should go further. The 1/4 inch hole is not the final solution to the customer’s problem. They actually want what the hole itself can provide. 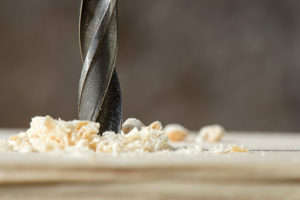 The drill is the product; it is the thing that is required to do the thing that needs done. However, the solution–what the customer actually wants–is maybe a more organized life which putting up a new shelf (using their freshly drilled holes) could deliver. I’m pretty sure that most people, if the shelf would magically affix itself to the wall, could care less about the drill. Let’s consider this: the words coming out of the customers mouth are telling the salesperson that they need a particular drill. In reality, what they really mean is that they need to reduce the clutter in their home by putting up a new shelf. In our business, it is common for people to come to us saying that they are going to retire soon and need help with their investments. The reality of this situation is that they are really saying something like, “I want to make sure that I’m not going to run out of money before I die,” or “I have enough money for my needs, but I would like to provide for my grandchildren.” Without determining this underlying reason, it can be difficult to know where they are trying to get. 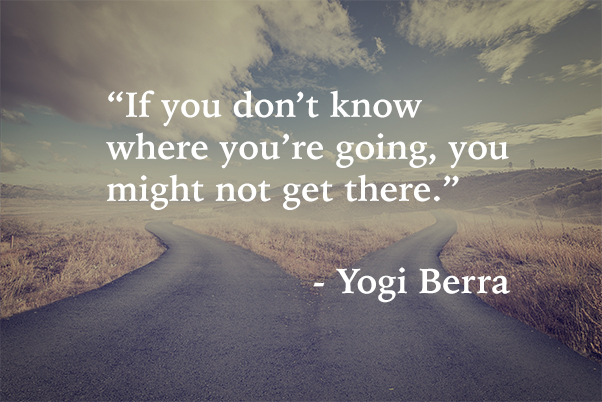 And when that happens, as Yogi Berra said, they might not get there.